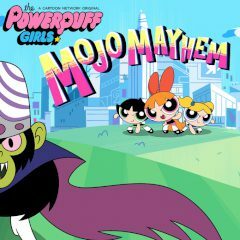 Help Powerpuff Girls to deal with a new threat. Dodge junk and other things in the air, strike boss and avoid his attacks. Powerpuff Girls are ready for the next challenge and here it goes. Just avoid the flying junk and reach the boss in the end. You must dodge his attacks and gain energy for the next strike.